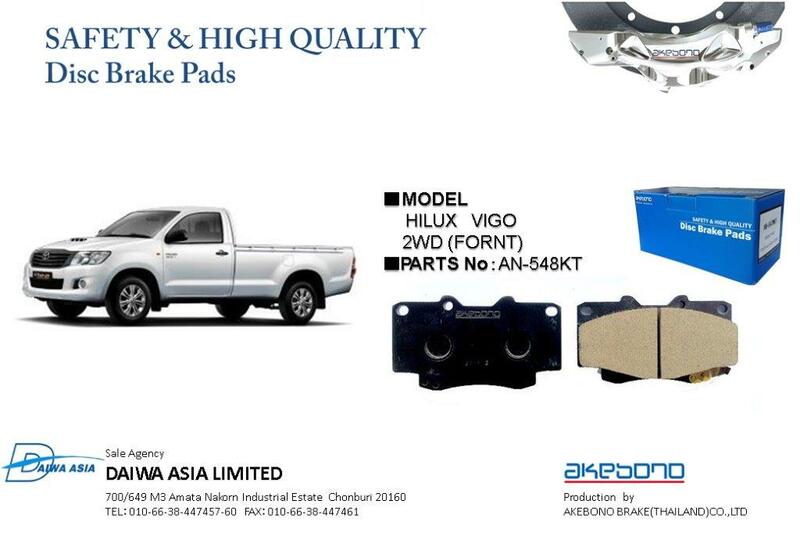 Akebono brake has been known as the high quality brake, the important brake supplier for automobile industry in Japan as known as brake expert in car component industry. 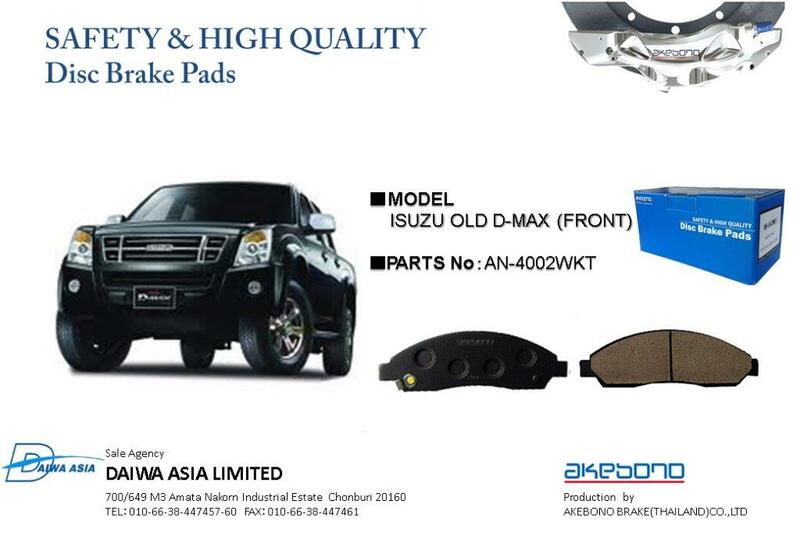 Daiwa Asia has been the distributor of Akebono product in Thailand sine 2002, suppliying the products to Thailand replacement market. 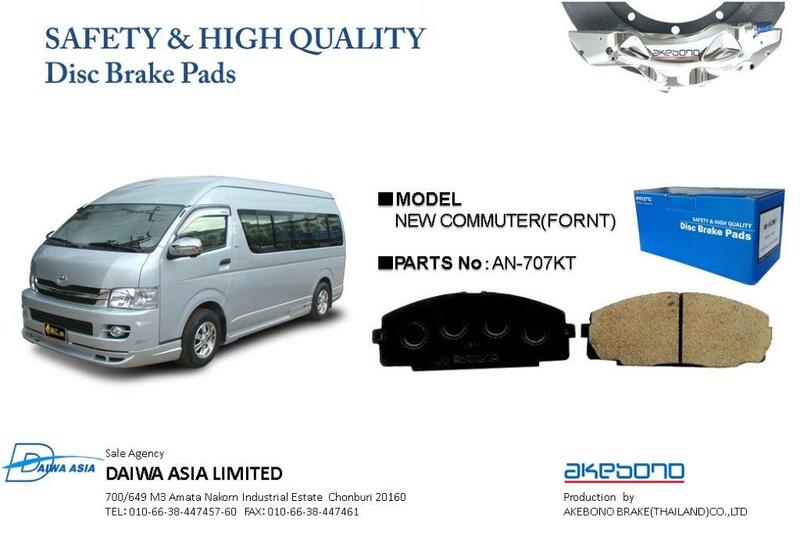 AKEBONO BRAKE INDUSTRY(THAILAND) Co.,ltd. 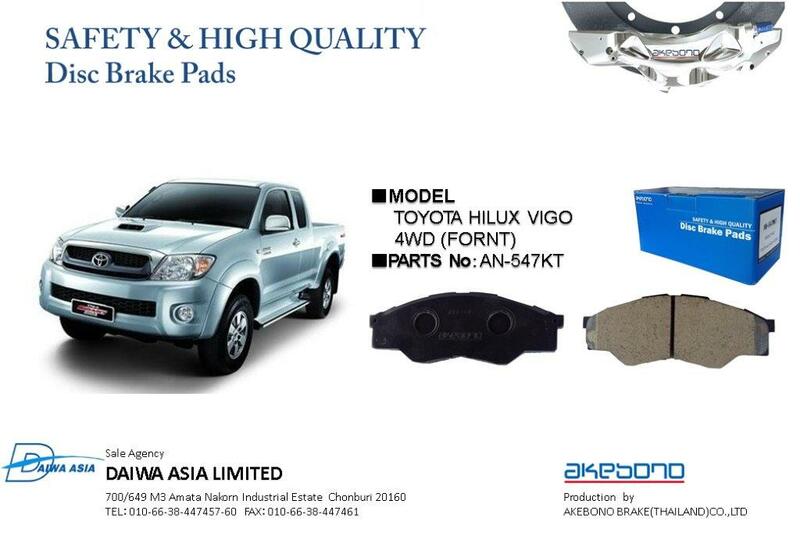 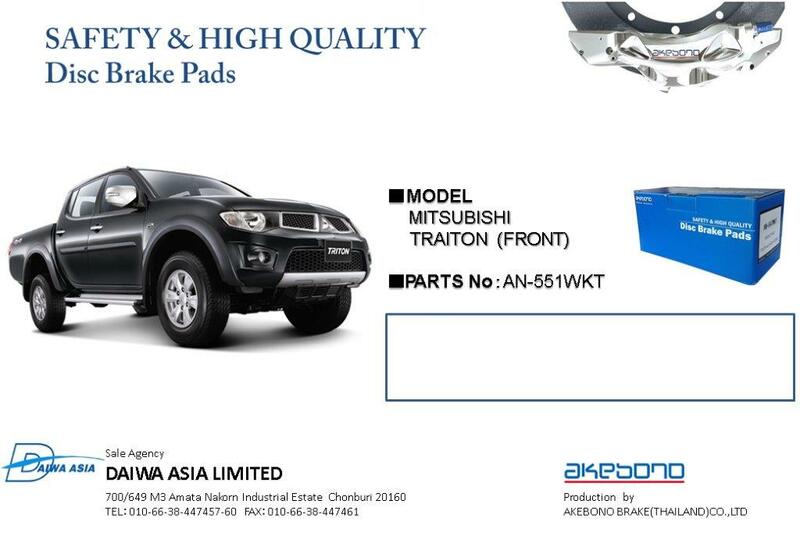 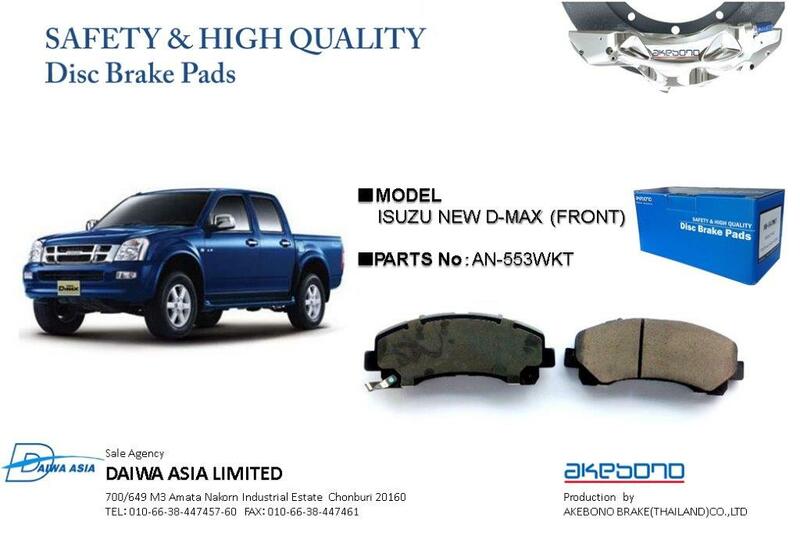 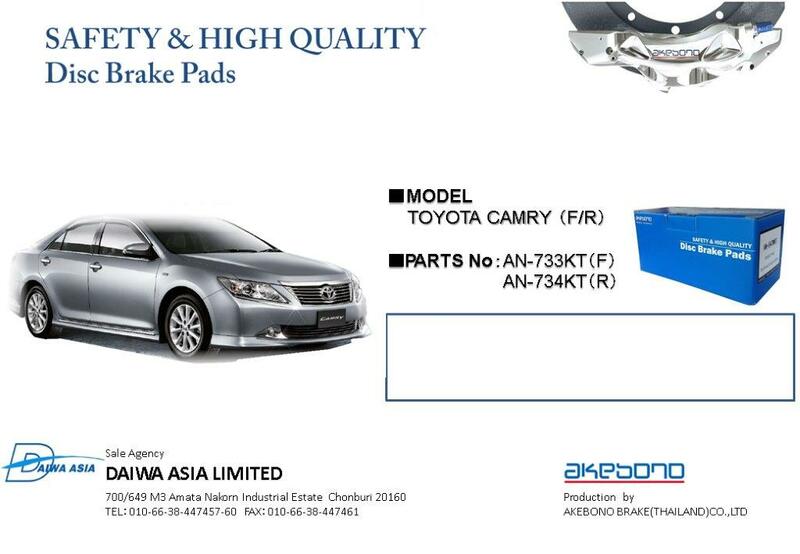 has been manufacturing the prepuim quality brake to Thai autotive car industry as the original equipment manufactuing parts (OEM) exporting around the world. . AKEBONO has has been supplying the brake pad in the replacement market(After market) in Thailand over 40 years. 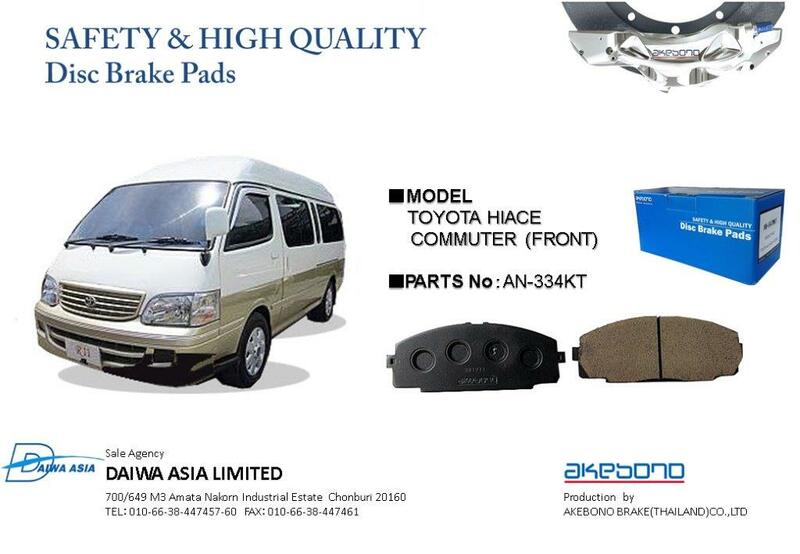 End user can find Akebono brake in the modern garage service in Thailand. 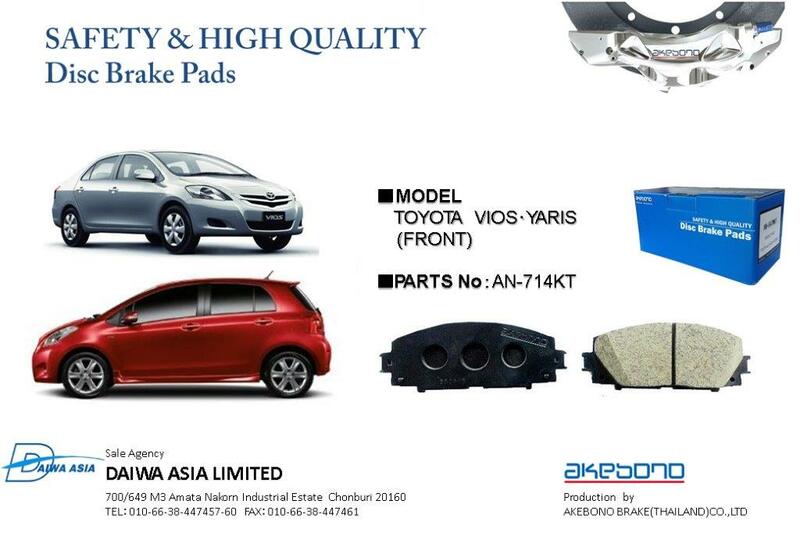 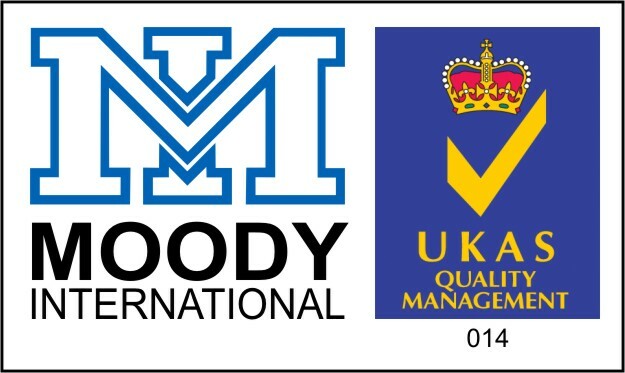 Most popular brake pad parts number available in Thailand.